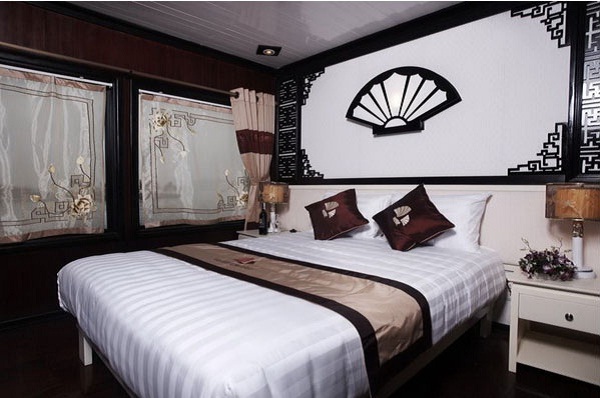 Modern and tastefully designed, Halong Glory Cruises are cruise ship featuring spacious and fully equipped cabins and suites with private luxury bathrooms, spacious sundecks and convenient lounging furniture and beautiful dining rooms and bars. 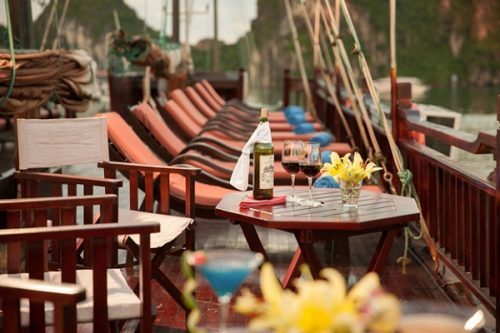 Designed and fitted with international standards, the Halong Glory Cruise still maintain traditional style, creating the perfect harmony of both contemporary comforts and nostalgic atmosphere. Providing an elegant, amazing and pleasing ways to discover endless style in Halong Bay, Glory Cruises bring us into close contact with friendly local people in various floating villages of the Halong Bay. 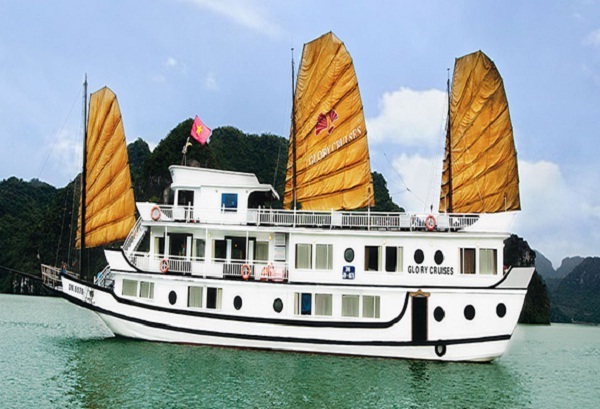 Traveling on the Halong Glory Cruises, tourists will definitely have a great opportunity to admire the beauty of Vietnam in its original form as well as taste stunning local food, enjoy local culture in one unpacking, memorable holiday where the interesting “floating hotel” brings you much closer to Halong Bay Vietnam. With the goal of offering a both gentle and stimulating experience that you will remember forever and cherish all the time, the dedicated and professional management and staffs are always willing to meet all of your demands and are looking forward to serving you on spectacular Halong Bay. 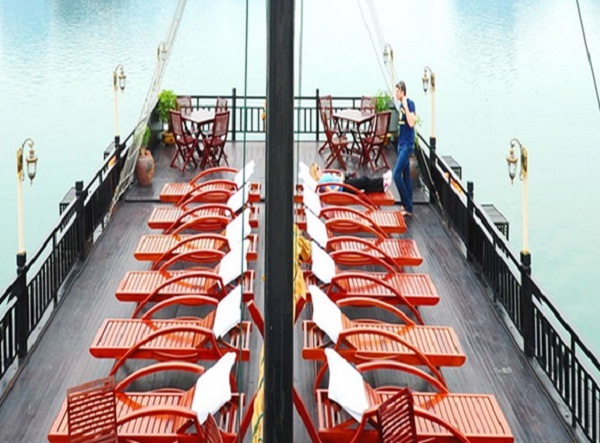 Featuring air-conditioned rooms with magnificent sea views and free wireless internet access, Halong Glory Cruise is a traditional Vietnamese wooden cruise which has a spacious private lounge serving stunning drinks for all kinds of guests when they are waiting to be onboard. Furnished with wood and containing a seating area with private bathroom equipped with a heated shower, hairdryer and free toiletries, all rooms onboard are able to bring guests the feeling of friendly and cozy atmosphere. On your trip discovering the beauty of Halong Bay, do not miss a chance to be onboard the Halong Glory Cruise to explore this charming bay in a special way. 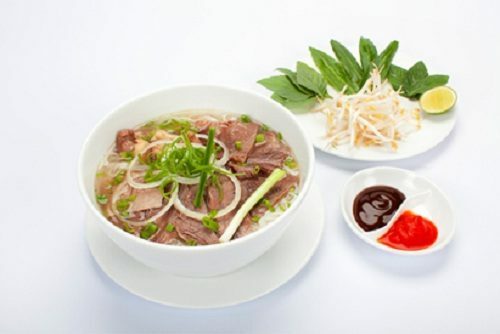 Our Indochina Voyages will bring you a discovering journey onboard at comparative price.